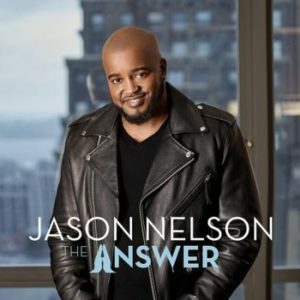 What makes Jason Nelson’s The Answer the finest of his five solo albums to date is the quality of the songs. 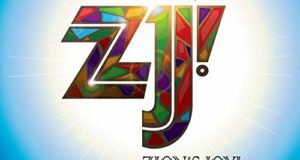 Several of the melodic and biblically-based worship ballads on this live project are not only infectious, but they have a timeless quality. Outstanding songs on The Answer include the current single, “Forever,” as well as the quiescent “In the Room,” which demonstrates that an artist can get a message across—in this instance, that everything one needs can be sought through prayer—without thunder and fury. “Help Me,” which features gospel soloist Naomi Raine, is a dramatic ballad that takes its inspiration from the woman with the issue of blood in Luke 8:40-48. “You’ve Got Me” heats to boiling during the reprise when Nelson invites Maranda Curtis, who was in the audience, to join him on the altar. Without any prompting, Curtis moves from sweet to squall in the space of three minutes. Even though “Jesus is the Answer (For the World Today),” was not initially meant to be the opening selection (see JGM’s interview with Jason Nelson for more details), its gentleness offers a refreshing change from the oversized introductions that seem compulsory on live albums today. 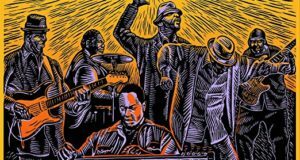 Nelson adds modern harmonies to his rendition of Bill Gaither’s classic “He Touched Me,” then teams with his brother Jonathan on “Faith for That,” a funky and brassy take on a lyric built around a churchy catchphrase. Recorded live at Nelson’s church, Greater Bethlehem Temple Church in Randallstown, Maryland, The Answer is also exceptional because of Nelson’s piercing, pleading tenor. 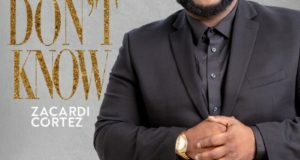 His delivery is reminiscent of gospel crooners such as Micah Stampley and Brian Courtney Wilson in that he delivers melody lines with just the right amount of improvisation. And on “Never Go a Day” and “Lord of All,” he broadens the coda into extended moments of musical rapture. The Answer is likely to follow in the chart-climbing footsteps of Jason Nelson’s most recent releases, Shifting the Atmosphere and Jesus Revealed.